Nothing's more satisfying than a fully-stocked fridge, but with great power comes great responsibility. It's a wonderful feeling knowing you have a nice, clean space to put all your fresh groceries, but that feeling quickly fades when it turns out your refrigerator is lacking serious space, everything is mixed around, or it's simply just one big mess in there. 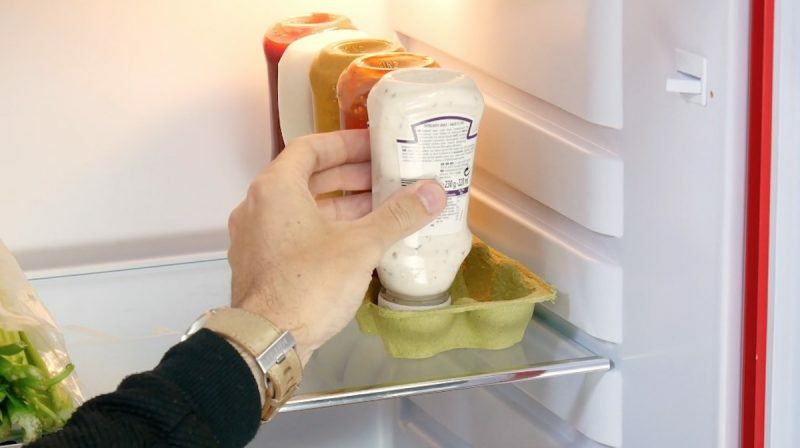 All your woes are easily solved with these 8 clever kitchen hacks that will leave your fridge looking brand spanking new and ultra spacious in no time. 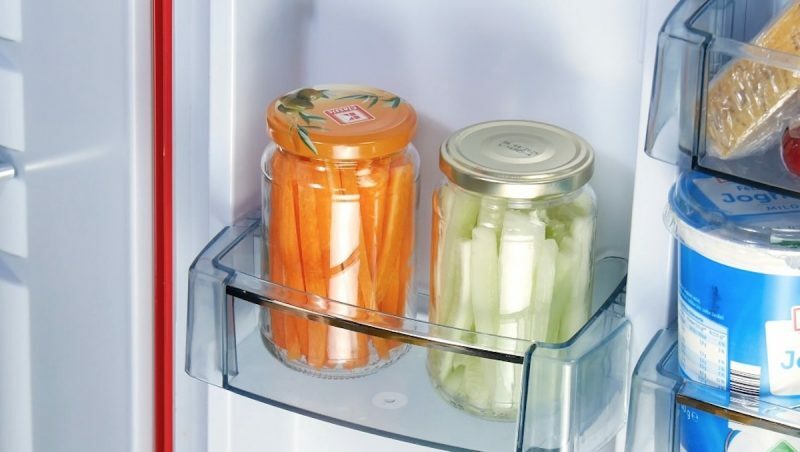 Add some magazine racks to your fridge to organize your groceries and stack your goods! Cut the top off an egg carton and the bottom half can be used as a bottle holder – genius! 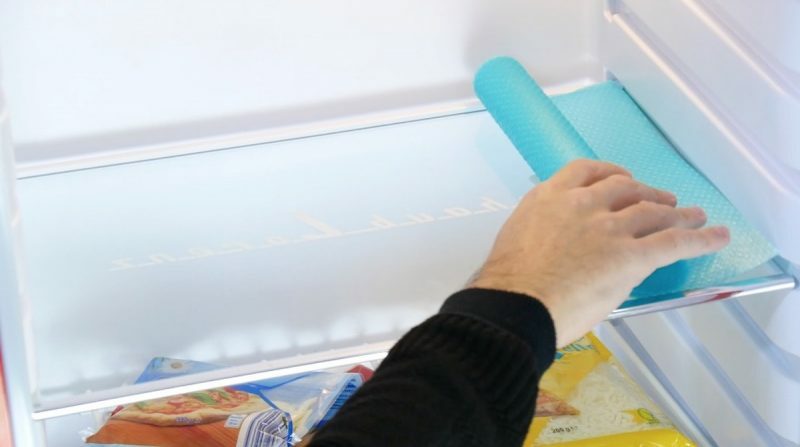 Cut a placemat to fit the dimensions of your fridge shelf and the miracle sheet will absorb all future drips, stains, and spills! When you've had enough, simply wash the placemat or replace it with another. Freezers are small enough, so why make things any harder than they need to be? Divide your foods into categories (e.g. fish, poultry, veggies, etc.) and place them into appropriately labeled plastic baskets to keep them sorted and easy to find. 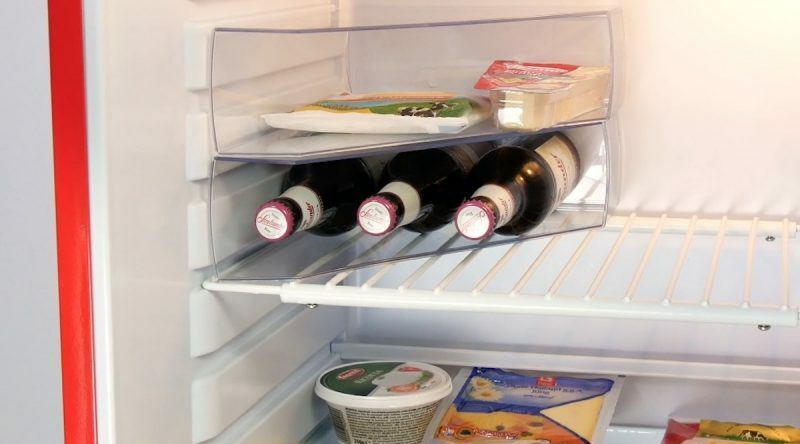 Nothing is more annoying than the thing you want being in the clear back of the fridge... you don't want to have to take everything else out just to get to that one product, and even though you know you should really rotate your products, it's just way too much work. 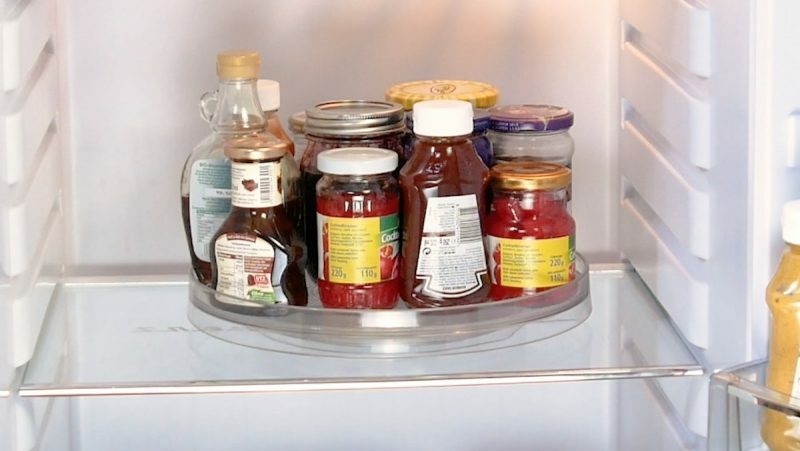 Put all your groceries on a Lazy Susan and you'll never have to worry about knocking everything over again. When it comes to the fridge, it's essentially "out of sight, out of mind," which unfortunately means that fruits and veggies are the first to fall victim to food waste. A great way to avoid that is to cut them up into bite-size portions and place them front in center in a visible place so they're easier to grab. And best of all, you might finally manage to reach the recommended daily servings! Sometimes it's easy to forget what you already have open, but an easy solution for that is to make sure it's the first thing you see when you open the fridge. Just clip any opened bags to the shelf with a binder clip, and for groceries that come loose or in other types of packaging, simply stick them in a food storage bag and clip that to the shelf with a binder clip. This will also save a lot of space! 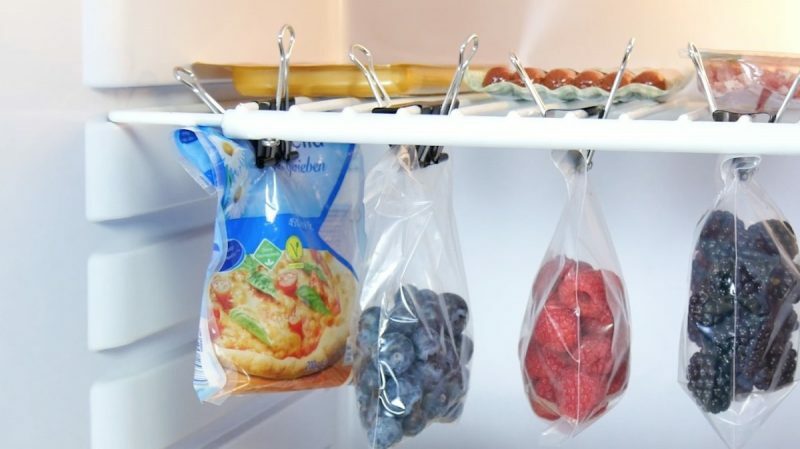 Much like the food storage bags and binder clips, if you want to save space and make your yummy snacks and tasty goods are visible to the naked eye, stick some velcro on the inside of your fridge door and the bottom of a food storage container. What a handy trick! You'll love how clean and organized your new fridge is – in fact, it will become your new favorite spot in the house!